*Be sure to keep an eye on the vegetables and give them a stir every now and then. You don't want to overcook them and lose that fresh crunch. 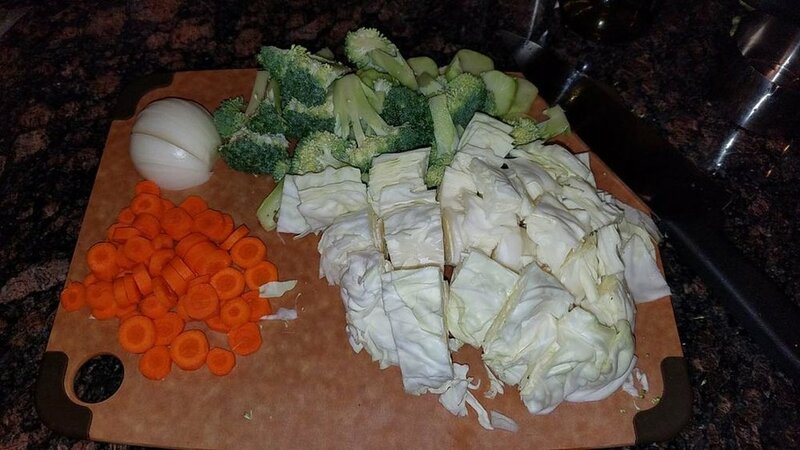 For the sauce, combine the following ingredients into a small saucepan and warm up to dissolve all of the ingredients. You want to be sure that this is not too salty as it reduced down to glaze the chicken. 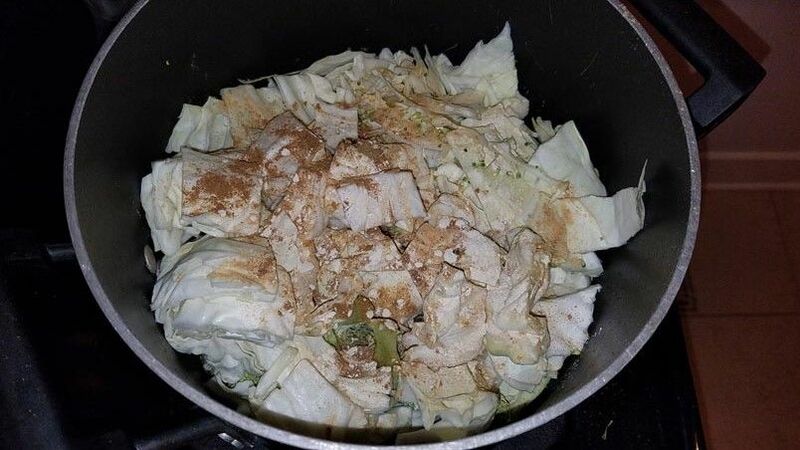 Keep in mind that the flavor of this will be concentrated when reduced, so if it tastes a little weak, it's ok.
Place a large non stick pan onto the stove with the heat on high. Add 1 TB of both Sesame Oil and Olive oil to the pan. 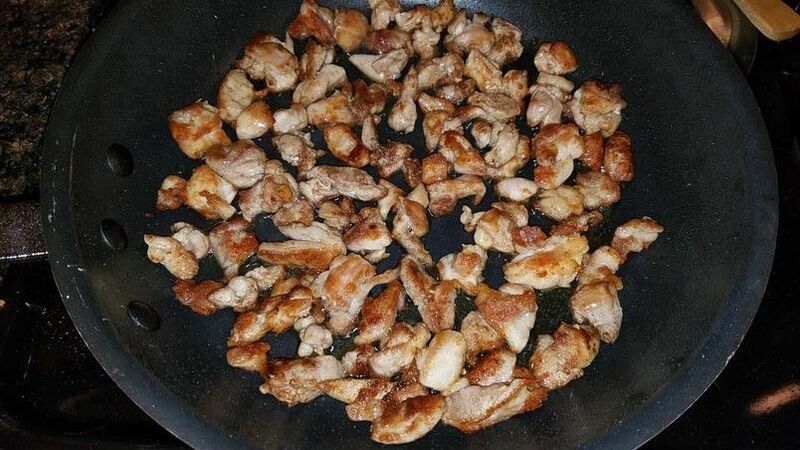 Once the oil is shimmering, add a single layer of the seasoned chicken to the pan. I usually do this in two batches because there needs to be space between the pieces to get everything cooked right. Cook one side until brown and crispy and flip. 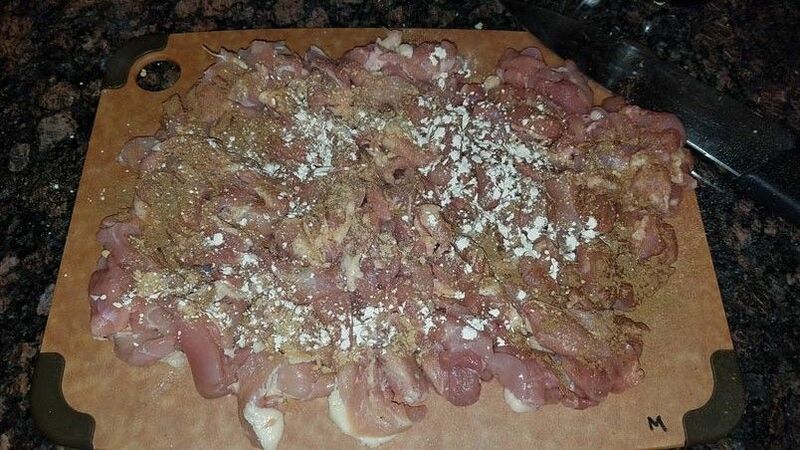 Continue cooking the chicken until it's golden brown and crunchy. Drain the meat, retain the oil, and do the second batch. 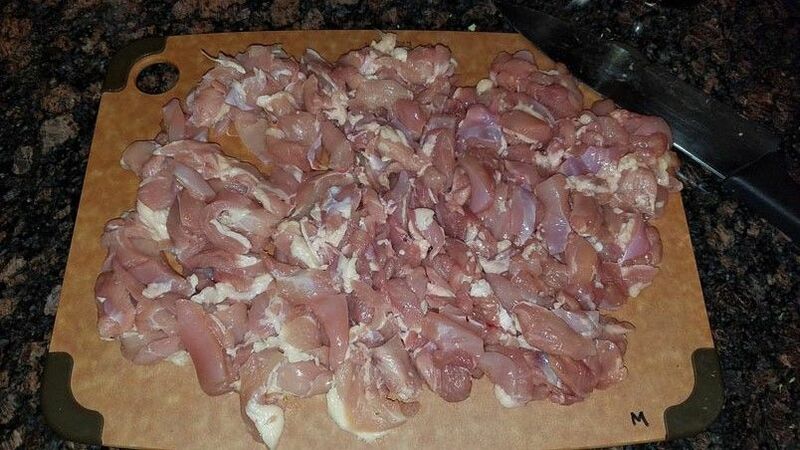 Once all of the chicken is cooked, drain all of the oil from the pan. 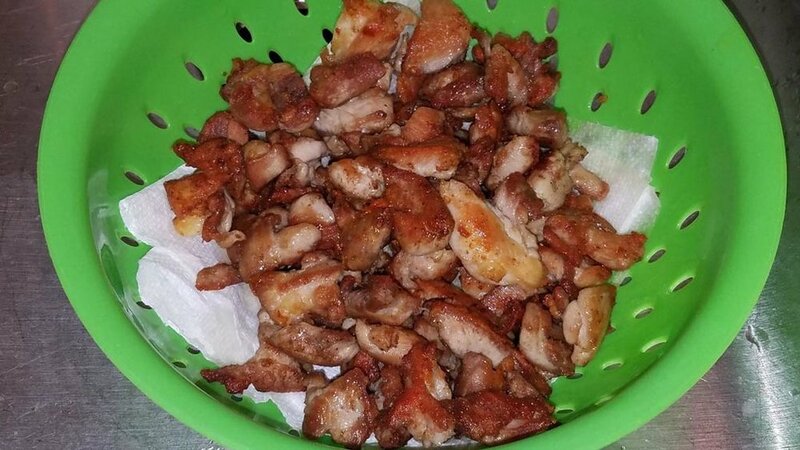 Return all of the cooked chicken to the pan, heat on high for a few moments, and then pour in about 1 cup of the teriyaki glaze. Continue to stir while the glaze bubbles and reduces down. Once the chicken is evenly coated, turn the heat off. 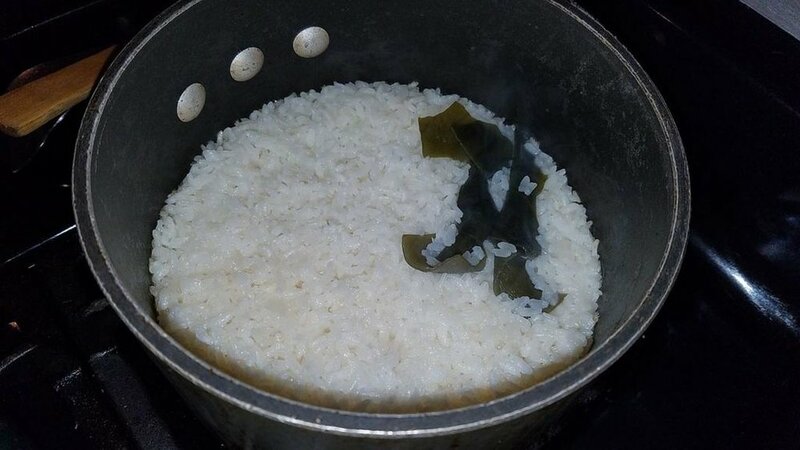 Remove the Kombu from the rice, fluff with a fork, and plate with the vegetables.